We are very proud to have Beef Or Salmon, Hardy Eustace, Hurricane Fly, Kicking King, and Rite Of Passage on our ‘Living Legends’ team. 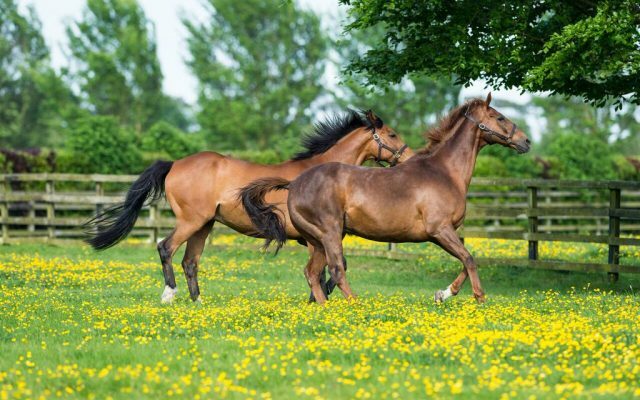 Visitors can view these equine superstars when they visit the stud and gardens. These ‘Living Legends’ excelled themselves on the racecourse and here they live like kings of the turf. With their racing days behind them, they can be seen basking in the summer sun in their paddock opposite the serene St. Fiachra’s Garden. 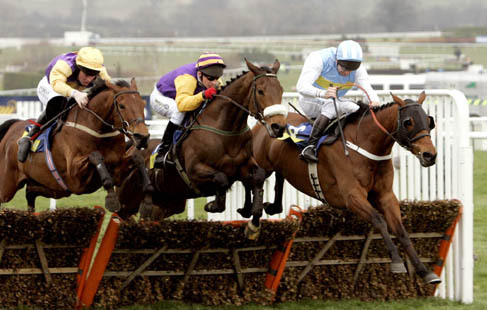 Beef or Salmon defeated three Cheltenham Glod Cup winners in Best Mate, Kicking King and War of Attriction and the 2005 Grand National Winner, Hedgehunter. Winner if 7 Grade 1’s (3 in Cheltenham) and over €1,000,000 in prize money. Hardy Eustace was known widely for his tenacious battling qualities in the closing stages of a race. 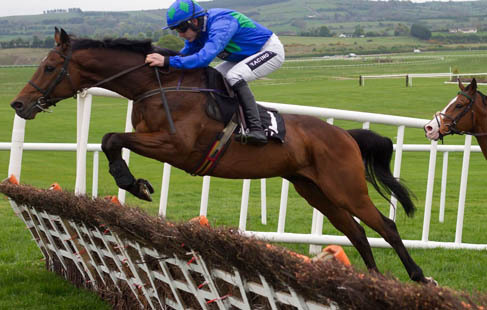 Hurricane Fly is considered one of the greatest hurdlers of all time having won 24 of his 32 starts, including 22 Grade 1 wins. He holds the world record for the most Grade 1 victories. 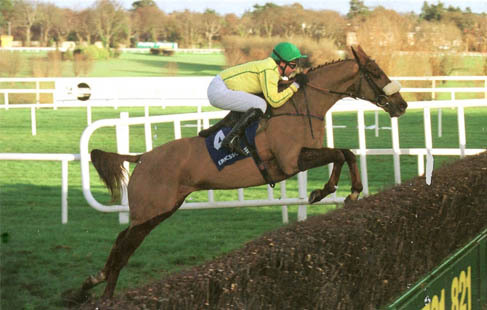 He won the the Champion Hurdle at Cheltenham twice and the Irish Champion Hurdle at Leopardstown five years consecutively. Hurricane Fly earned €2.4m in prize money and retired from racing in 2015 as one of Ireland’s most iconic sporting heroes. Winner of 12 races with Career Earning of over €1million. 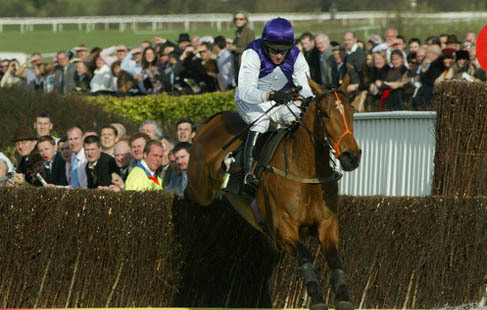 Kicking King was one of the best chasers of his generation, winning six Grade 1 races including the 2005 Cheltenham Gold Cup and the King George VI Chase in 2004 and 2005. Winner of 8 races including the Gr. 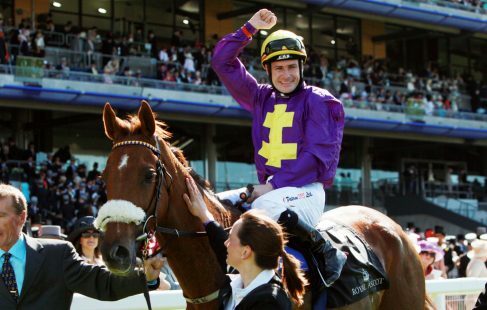 1 Royal Ascot Gold Cup in 2010.This horse showcased the talents of his trainer Dermot Weld as he began his career as a National Hunt horse and made his way to the flat scene where he won at the highest level at Royal Ascot. Dogs: Dogs are welcome, but must be kept on a lead at all times. Please clean up after your pet. Alternatively Bus Eireann operate the route 126 frequently to Kildare town, which is only a short 10 minute walk away. Departure times for this option can be found on the Bus Eireann timetable link here.